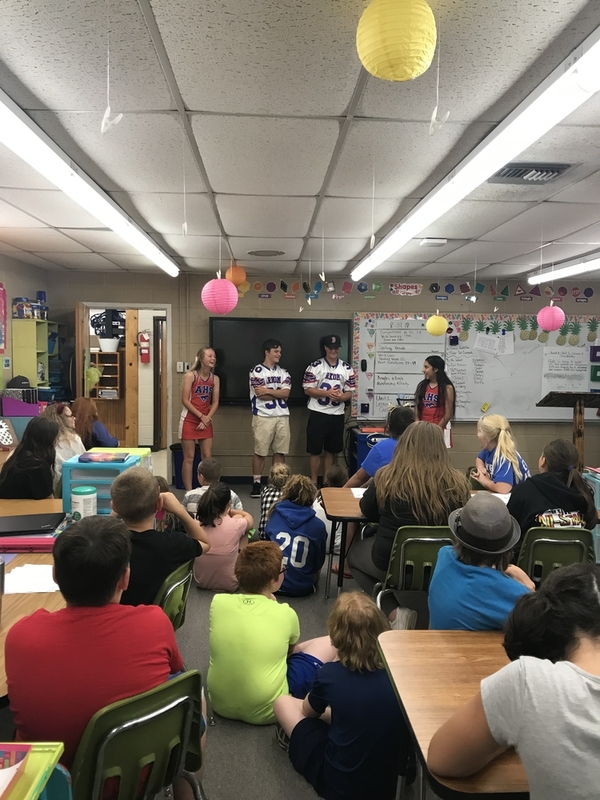 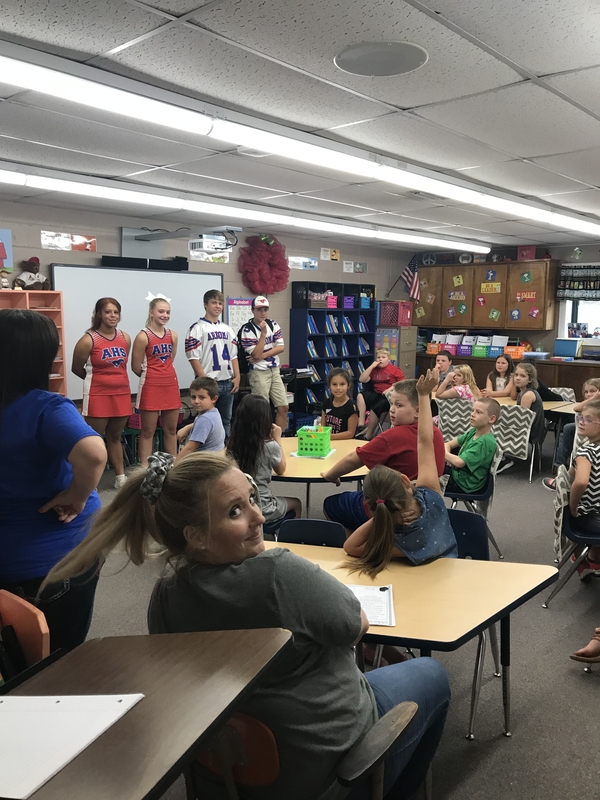 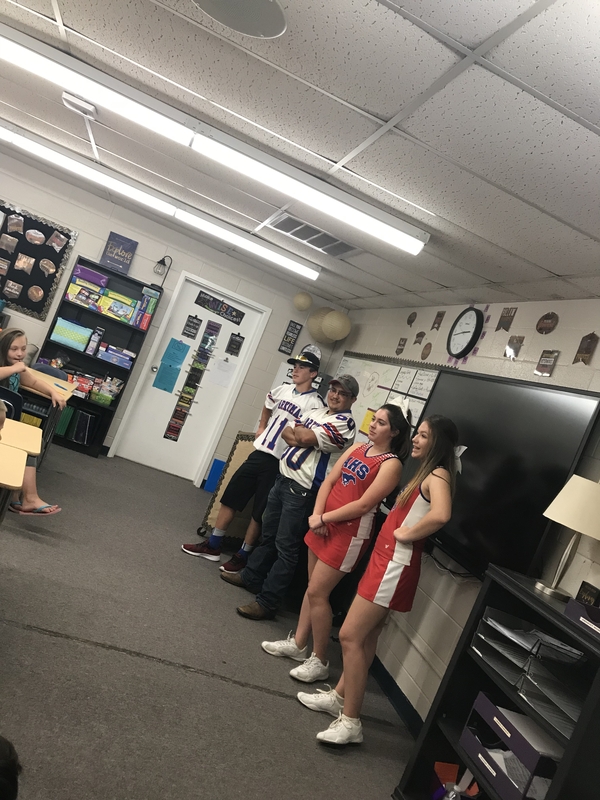 Football players and cheerleaders visited elementary classrooms Friday for the first time. 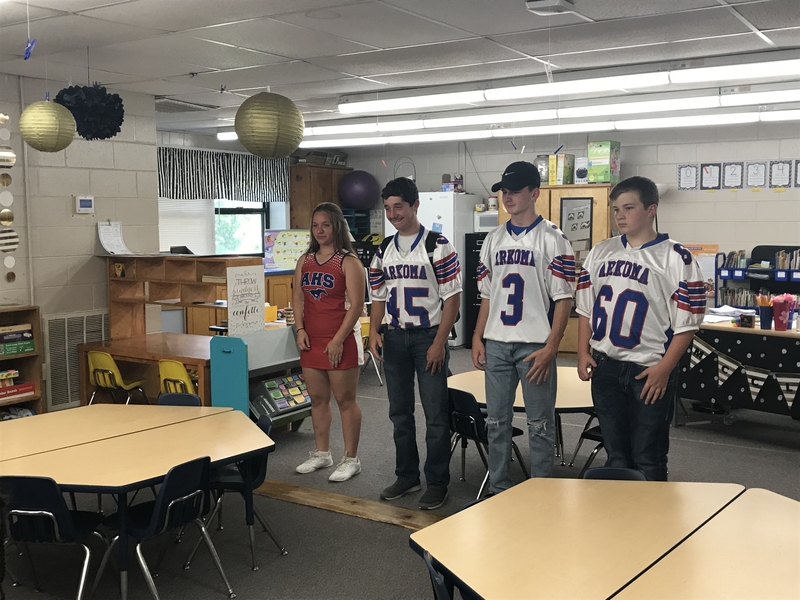 Each Friday, through football season, this tradition takes place. 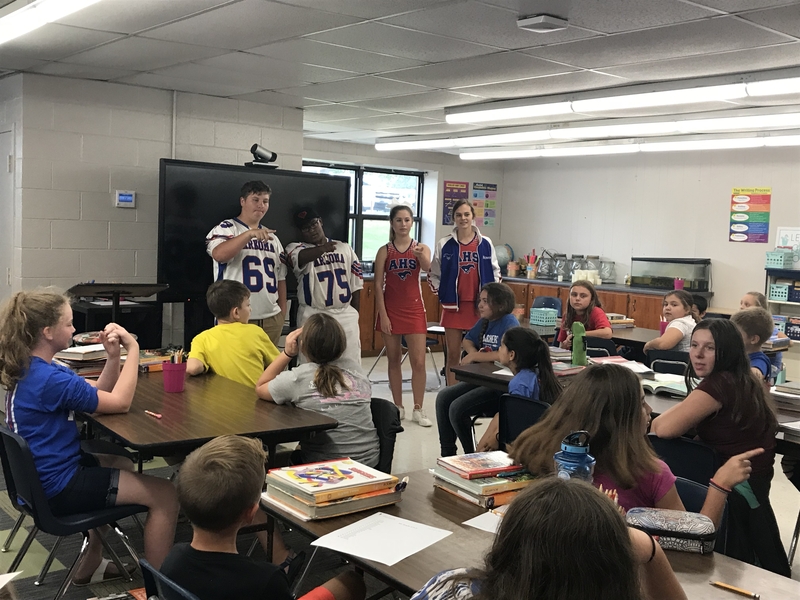 These student-athletes talk about the experiences they have playing a team sport and being a high school student. 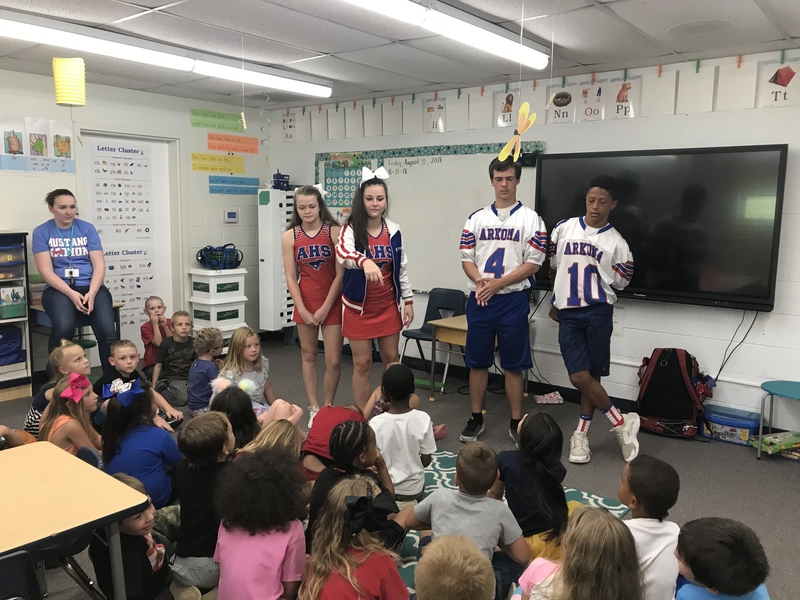 Not only do the Elementary students gain valuable insight through this process, but the High School students enjoy building relationships with the Elementary students.